Birthday flowers delivered by Flower Station. Our Birthday flowers selection is available for same day delivery in London. Order by 6 PM for same day flowers. If you cannot find the flowers you are looking for please call our Birthday florists who will be happy to guide you through your order. Fresh flowers hand delivered by your local florists. Birthday flowers London same day. Send Birthday flower gifts London selection by your local Birthday florists. Sending flowers for Birthdays with your UK florist is getting easier and easier. Birthday flower delivery London service is always FREE and if ordered by 6 pm we will get your hand tied bouquet, or a basket arrangement delivery to your loved one today with our same day flower delivery. There are so many flowers to send on this day and you really cannot go wrong. Send roses, tulips, carnations, lilies, gerbera, or even chrysanthemums today and let you loved one know how much you appreciate and love them. Birthdays are a time for celebration for each and every one of us. It is a special day to celebrate a day of birthday of yourself, friends and family. Sending flower gifts for birthdays is one of very common gifts and we are happy to offer delivery and a great selection of fresh flower gifts for delivery on Birthdays in London. Our Birthday Flower London delivery team will accept Birthday orders up to 6 pm for Same Day Delivery To London, Next day delivery Nationwide. We have flower shops scattered across London as well as being part of a large Birthday florist alliance allowing for same day delivery. We are able to fulfill any London Birthday orders on same day basis due to the number of our own dedicated Birthday delivery vans and its workforce. If you need an urgent delivery please call us 020 7724 7525, we may be able to help. If you are not happy with the selection of bouquets and flower arrangements online then please call us. 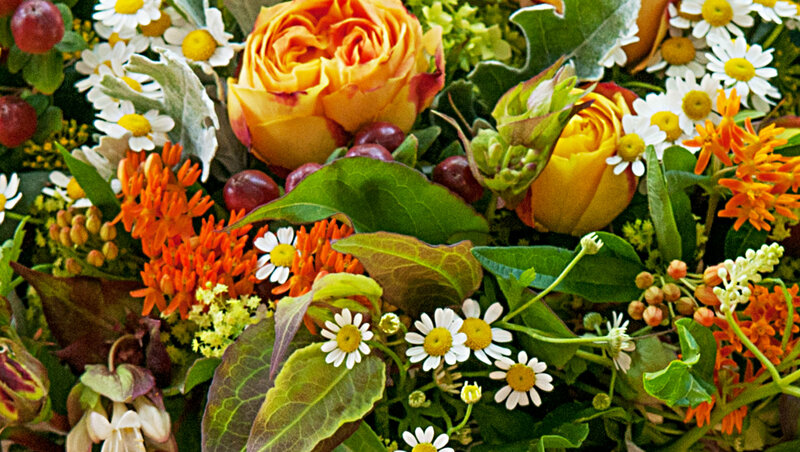 Our expert florists will be happy to discuss your needs and will offer you their advice on making that perfect gift. We stock fresh, seasonal flowers, at all times and receive flower deliveries on daily basis direct from the growers. You can send flowers for birthdays to friends, loved ones, or simply to wish your colleagues a happy birthday. Giving flowers for a birthday has become somewhat of a tradition in London and UK, especially if you are stuck for ideas as to what gift to buy. Birthday flowers delivered by Flower Station. We are open 24 hours a day so why not give us a call. We guarantee quality and freshness of all Birthday flowers. All Birthday bouquets are freshly prepares and beautifully presented as we at Flower Station understand the importance of such a big day. We offer a selection of bouquets designed with all customers in mind, so if you are looking for something colorful or classic and even something exotic then we have a product just for you. Mary Wortley, Lady Montague, brought the language of flowers to England and UK in the early 18th century, from Turkey where her husband served as an Ambassador. Since then we have associated the following flower for the following birth months. This a general guideline to choosing flowers for birthdays as each month sees flourishing of such. January birthday flower: Carnation - Carnation symbolizes pride, loyalty, purity, beauty and distinction. February birthday flower: Violet - Violets symbolize wisdom, hope and faithfulness. March birthday flower: Daffodil - Daffodils symbolize respect, regard and unrequited love. April birthday flower: Sweet Pea - Sweet Pea symbolizes modesty and simplicity. May birthday flower: Lily of the Valley - These flowers symbolize sweetness, humility and chastity. June birthday flower: Rose - Roses symbolize appreciation and love. August birthday flower: Poppy - Poppy flowers symbolize remembrance, a huge part of the British culture. November birthday flower: Chrysanthemum - These flowers symbolize secret love, compassion and friendship. December birthday flower: Narcissus - These flowers symbolize sweetness. Sunday London delivery 09am to 6pm. Q. If I am not home, can I organise an alternative delivery? A. We you know you will not be home for the delivery, we can arrange for the flowers to be left with a neighbour or in a safe, concealed place. Q. What is the best way to order my bouquet? A. You can order easily either online, by phone or by coming into our Baker St shop. Our team will always be on hand to help whatever method you choose to purchase your flowers by. Got these for my mum and she was ecstatic on her birthday. Couldn’t have been easier to order and the process worked well. Arrived in good time so a 10/10 from me. Totally forgot about my nephew’s birthday so was relieved to hear I could get flowers delivered to him the very same day. Perfect. Not sure what I was expecting but exceeded all my hopes, the bouquet was stunning when it arrived – probably the best I have ever had.